← Can Homosexuality be “cured”? 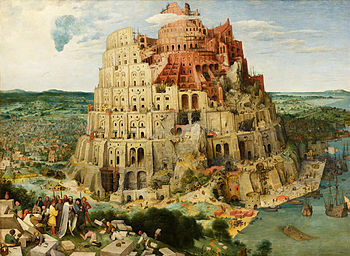 Were the Confusion of Languages at Babel a Curse or a Blessing in Disguise? Some people jokingly ask the question what language will be spoken in heaven. Is it English, Chinese, Hebrew or Aramaic? Humanity speaks about 7000 living languages on the earth today and throughout history this number increases dramatically (I’m pretty sure I would have a hard time understanding an Englishman from the 13th Century). The Bible tells us this confusion of languages came about due to the united effort of humanity to oppose God by building the tower of Babel in Genesis 11. God confused the language of man and humanity was dispersed across the face of the earth. The division of humanity into language groups must have felt like a curse and still often does today. But the confusion of languages was actually not a curse, it was actually a divine mercy, its initial purpose was to disperse humanity that they would fulfill their mandate to fill the earth, but the ultimate aim is even more glorious. This entry was posted in Bible Stuff and tagged Heaven, Languages, Missions. Bookmark the permalink.